The Atlanta Chamber Players (ACP), the premier chamber group in the city, returned for their 2017/2018 season, with a program titled "A Celebration of Beethoven!" 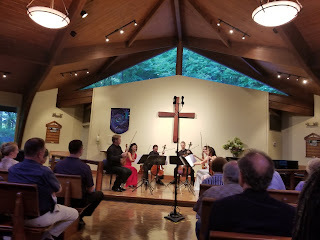 The concert was held at St. Dunstan's Episcopal Church, the acoustics of which seemed to color the sound of the performance, at least from my seat. The ceiling of the sanctuary contains many odd angle wooden planes, l held up by large wooden beams. To my ears, many of the wonderful overtones that give musical instruments their warmth and timbre were swallowed by the wooden surfaces and reflective angles. Thus, David Coucheron's wonderful Stradivarius violin sounded a bit brash, with the midrange sounds emphasized at the expense of the warmth-giving harmonics. I suspect that other locations in the church may have had very different sound characteristics because of the different reflections of the many-planed ceiling. The program began with Beethoven's Sonata for Violin and Piano No 1 in D major, Op 12 No.1. This early work by the master definitely reflects the influence of his teachers Haydn and Salieri. It is bright, pleasant, and a lifetime away from his later works. The performance started with the piano dominating, played by Elizabeth Pridgen, but after the first few minutes, a nice balance was achieved between the violin and piano. Both Coucheron and Pridgen command their instruments and both produce intense performances with grand volume. Nevertheless, their attention to dynamics was noticeable, in spite of the energy of their performance. The next work as Beethoven's Trio in B-Flat major, Op 11. This Trio was composed in the same time frame as the Sonata and it also reflects the influence of Haydn and Salieri on their student, so it tends toward the elegant and melodic, with no foretaste of the "Sturm and Drang" to come in Beethoven's later works. The Trio is full of beautiful music, with a charming second-movement Adagio, and a wonderful third-movement featuring a set of variations on an operatic theme by Wiegl. Alcides Rodriguez, clarinet, joined Pridgen, and Brad Ritchie, cello in this great performance, which was slightly marred by the ending of the first movement, Allegro con brio, where the performers seemed not quite together. The final work on the program was Tchaikovsky's Souvenir de Florence, for String Sextet in D major. Coucheron and Ritchie were joined by Helen Hwaya Kim, violin, Julianne Lee, and Catherine Lynn, viola, and Christopher Rex, cello. The insightful program notes to the performance by Edmund Trafford note that Tchaikovsky was best when focusing on lyrical content, and less so when trying to deal with structural design. Souvenir is a wonderful case in point in the composer's relative strengths and weaknesses. It is full of lush melodies and harmonies, but never quite succeeds in fully developing his material to intrigue the listener's intellect as well as their emotion. But the ACP gave its considerable musical heft to a thrilling rendition, that began large and ended the same way. The good news about the work that it showcases each instrument at some point, which highlighted the skill of the individual musicians. Kudos particularly to Christopher Rex for some wonderful and big cello passages. Similarly, newcomer Julianne Lee demonstrated some robust viola playing. Tchaikovsky's big melodies received a big performance with considerable subtlety from the ACP.The next ACP concert is on November 7, 2017, at the Shakespeare Tavern Playhouse with guest violinist Andres Cardenes. 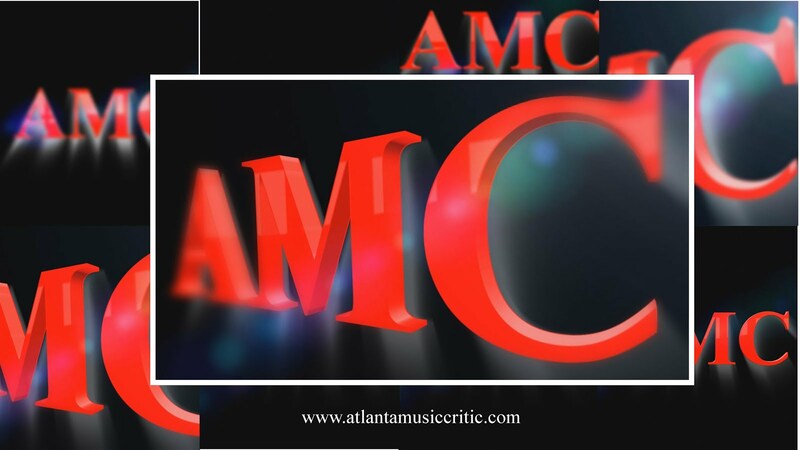 For more information, go to atlantachamberplayers.com or call 404 594 3445.